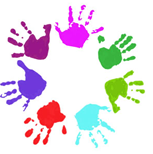 The 'St Nicolas PTA' is the parent/teacher association of our school, in which you all, as parents or carers automatically become members of. A warm welcome is extended to anybody that would like to come along and join us at our meetings to help us organise and plan future events. If you would like to volunteer for any of our events or would like to join the committee you would be most welcome to come along to our meetings to see what we are all about. All the meetings are open to any parent or carer who wants to attend. It would be great to see you there. We are pleased to let you know that that the St Nicolas PTA (currently still listed as The St Nicolas School Association, SNSA) have set up a new scheme through "The Giving Machine" to raise additional funds for our school when you shop online. Please sign up to The Giving Machine - It is FREE and will help us to raise money for our school. Whenever you shop online, click via TheGivingMachine into any of the shops first and you'll generate a free donation - it's that simple. REMEMBER to shop via TheGivingMachine every time you buy online!